Manufacturer of a wide range of products which include plastic cans and white plastic can. We feel proud to introduce ourselves as one of the well-known manufacturers and suppliers of Plastic Cans. The offered cans are fabricated from high density polyethylene material. 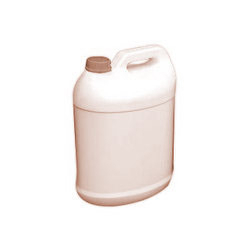 Our manufactured cans are specially designed for storing pharmaceutical liquids such as syrups. The supplied cans are designed to allow slow spilling, for ensuring safety of the stored liquids. We are one of the leading manufacturers and suppliers of White Plastic Can. The offered plastic cans are special fabrications, which are made from the high density polyethylene material. 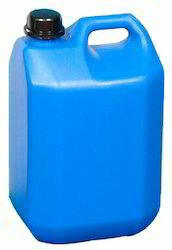 Our manufactured plastic cans are capable of storing liquids such as distill water, petrol, diesel and pharmaceutical syrups. The supplied plastic cans are made to withstand the shocks and mechanical stresses during transit. Our manufactured plastic cans are hard wearing products. Looking for Plastic Cans ?